The South African Astronomical Observatory (SAAO) has chosen Optical Surfaces Ltd. (Kenley, UK) to supply the two high precision prisms that make up the Atmospheric Dispersion Compensator (ADC) for the South African Large Telescope (SALT). As part of an international consortium of leading astrophysics suppliers Optical Surfaces Ltd. will work with the SAAO to help build the single largest telescope in the southern hemisphere, with a hexagonal mirror array 11 metres across. The purpose of SALT, due for completion in December 2004, will be to record light from distant stars, galaxies and quasars a billion times too faint to be seen with the unaided eye. 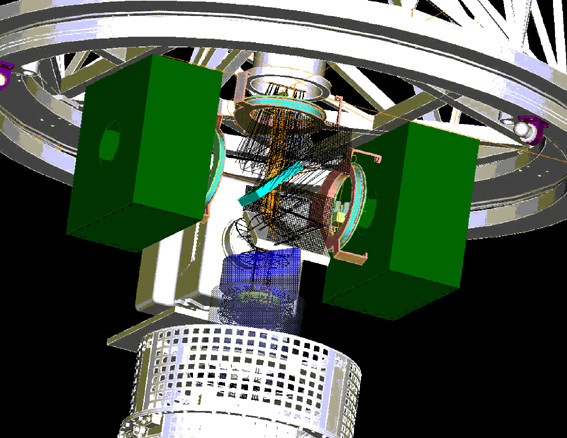 Optical Surfaces components will form the core elements of the ADC whose purpose is to correct dispersion by the atmosphere of light from celestial targets entering the SALT telescope. 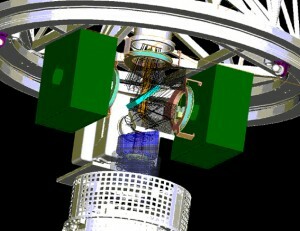 The ADC will ride on the SALT Tracker, in the position between the Spherical Aberration Corrector (SAC) and the exit pupil of the telescope. The SALT Atmospheric Dispersion Compensator will require Optical Surfaces Ltd. to produce two similar fused silica prisms of 290 mm diameter and a wedge angle of 7 degrees. The difficulties of qualifying and mounting these prisms are compounded by having curved surfaces, and techniques have been developed in house to solve these problems. For this application, we are especially able to help by integrating our optics into the customer’s assembly.